Now that the Houston Rockets have Chris Paul leading their offense, they’ve become a much more formidable team. They’ve also taken on the personality of their new superstar, which is to say, despite cementing themselves as the most credible Western Conference threat the Warriors have seen in years (which is to say, a tiny bit credible), they’ve become concerningly prone to paranoia, fragility, and bouts of whininess. Take it from former Rockets point guard Patrick Beverly’s not-so-subtle critique of Paul’s leadership. 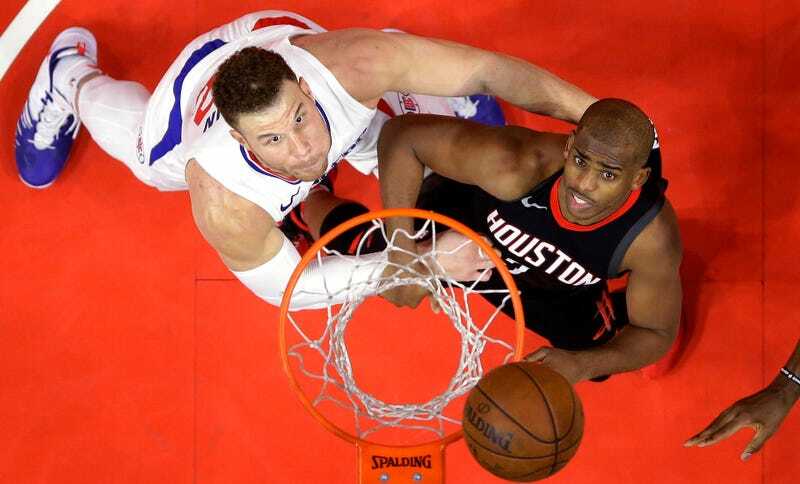 What exactly were Paul and the Rockets trying to accomplish when they marched through the sewers of the Clippers’ arena to puff their chests out? Did Paul want to put Austin Rivers in a diaper and spank him? Were James Harden and Trevor Ariza going to extract payback for their loss? Were they going to prove to Blake Griffin who really ran the Clippers over the last six years? The Rockets were never going to actually fight anyone, because nobody really fights anymore in the NBA, and all their hilarious bluster will earn them is a trail of “punished individuals” and the mockery and scorn of all their peers. 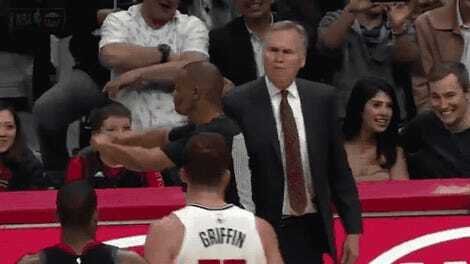 Jerry West was more prepared to throw actual hands than Ariza or Paul, as Adrian Wojnarowski’s reporting has indicated. Paul’s as good as any point guard in NBA history, though switching teams and becoming the veteran deputy to an indisputably better player for the first time in his career doesn’t seem to have cooled him off. He should probably relax, and his teammates should be a little more wary of following him into secret tunnels.